Noise canceling headphones are suitable for everyone who wants to devote themselves entirely towards the music. However, shopping for them can be extremely difficult, especially online. Based on your needs, you can choose between the active noise canceling headphones and the passive noise canceling headphones. 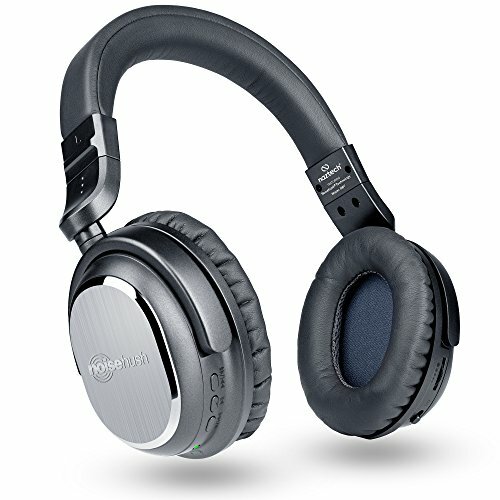 We have written this detailed 10 Best Noise Canceling Headphones Under $100 buying guide which explains the concept of both the active and passive noise canceling headphones from top to bottom and picks the best model of each highlighting their main features, advantages, and disadvantages. 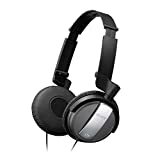 It is also important to note that these are the best noise canceling headphones that you can get under $100 and that the more pristine design and premium performance demand thicker wallet. 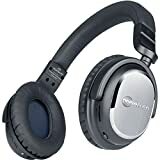 It is also important to note that these are the best noise canceling headphones that you can get under $100 and that the more pristine design and premium performance demand thicker wallet. Whether are you springing for the active noise canceling or the passive noise canceling headphones, there are some things that you need to consider before choosing them. Both types of headphones should feature premium design. 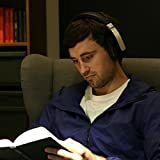 However, the Passive Noise Canceling headphones need additional layers of foam and material that will firmly cover the ears from the outside ambient noise. 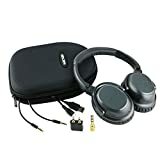 When it comes to the over-ear passive noise canceling headphones, their design perfectly fits your all around your ears and makes a strong wall between year ear and the material, hence you should focus completely on design and the materials invested in making the headphones as good as they are. Active Noise Canceling headphones are more than just a sturdy and cushy design. When it comes to choosing them, you have to focus on a number of in-line microphones which receive outside noise. For the budget headphones, the optimal number of microphones is two. It is essential that they are equipped with the digital signal processing (DSP) technology which actively prevents () the outside noise from entering your ear. 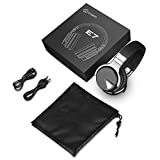 In order, to ensure the high-end performance, this kind of headphones also requires a strong and durable battery, which is also something that you need to focus on. Before choosing the headphones that will successfully prevent the outside sounds from entering your ear, it is important to know the difference between the Active Noise Canceling and Passive Noise Canceling headphones. design that prevents the sound from entering headphones. They stay true to the sound and require less of the artificial sound waves, EQ technologies, and other components that enhance the audio experience. They are ideal for the music studios, sound editing space, and studios. On the other side, while the Active Noise Canceling headphones sport the similar design that firmly covers and protects the ear, just like already mentioned, they contain several enhancements that completely cancel the outside sound. We have already mentioned that they have the DSP technology which consists of a microphone and a processor, which process the ambient sound and create a negative signal to cancel the outside noise. 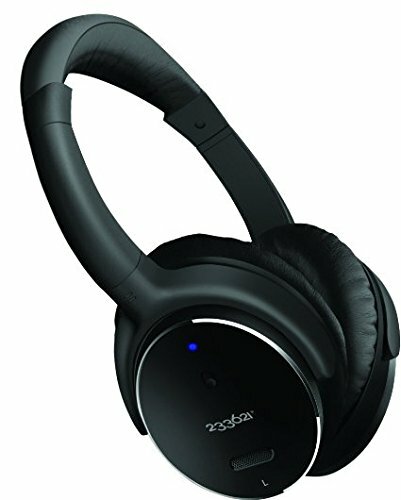 Whether are you in a noisy office, traveling often or generally surrounded by a loud ambient, the active noise canceling headphones are ideal for you. Many headphones have ANC ON/OFF button to stop the noise canceling process. For example, SonySony MDR-1000X, Plantronics BackBeat PRO, BOHM B76 and many other headphones have this fantastic feature. When this is on, it requires extra charge from your headphone battery to process the sound, meaning it will drain your battery a little. 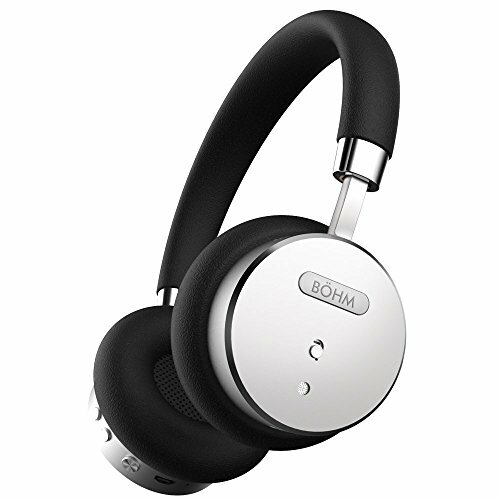 If you’re looking for a pair of wireless headphones with safeguard from the outside noise that will produce the deep and detailed sound in the process, BOHM Bluetooth headphones with the Active Noise Cancellation are a perfect choice for less than $100. They are equipped with the Bluetooth 4.0 technology with the CSR chip which provides minimal latency and little to no interference. It doesn’t hurt to mention that it supports the A2DP, ACRCP, HFP, and HSP technologies. The range is 10 meters, which is sufficient for streaming music from the iOS and Android devices, but also PC. It’s needless to mention the amazing noise-cancelling capabilities, thanks to the cushy, and firm design. All you need to do is to turn the switch and enjoy the low-frequency, powerful bass, and beautiful sound, which lasts thanks to the durable, 18 hours rechargeable battery, with the three hours of charging times. We have a complete review on BOHM B-66. Don’t Miss it! We have already written about the Cowin E-7 amazing audio capabilities, and more importantly, superb noise cancellation. They successfully prevent the noise from entering the ear as a result of the premium materials which decorate its’ design, as well the active noise canceling technology which mirrors the environment sounds outside. The Cowin E-7 sports the Bluetooth connectivity of the latest generation, which includes an aptX technology, and more importantly, it saves the already superb battery life of 30 hours. In terms of the sound quality, if you decide to use them, rest assured that you will receive the sound full of crisp, clear, and deep despite the volume that you setup. 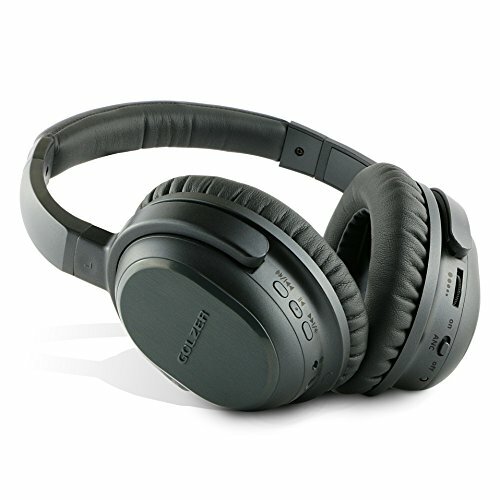 Checkout our most popular post – Review of Cowin E7 Active Noise Canceling Wireless Headphone. The 233621 H501 give a mean punch to the competition. 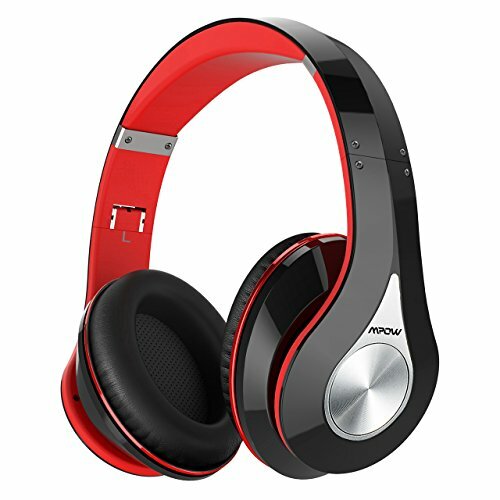 Thanks to a lot of features that it offers, the H501 is one of the best, inexpensive options that include the Active Noise Cancellation technology. They feature an over-ear style for the comfort that lasts. 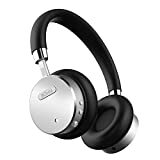 They are ideal for the long periods of listening to the music, and more importantly, travel-friendly. The earcups easily rotate and adjust suitable to your ear, and it’s needless to say that they are covered with the most convenient materials for the lasting comfort. 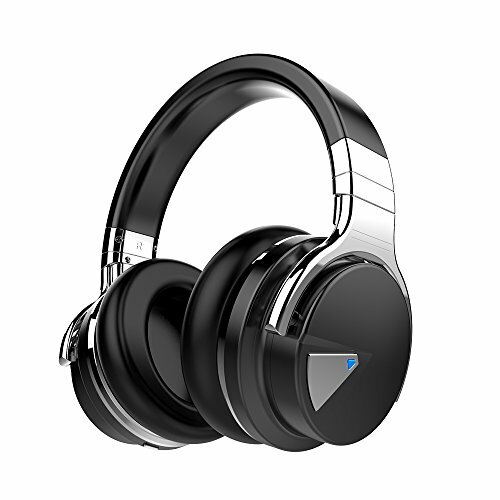 They successfully eliminate the annoying low-frequency sounds and allows you to listen to your music conveniently even in noisy places such as bus or plane. A crispy, detailed sound and a rich, powerful bass contribute to an even better audio experience, especially because of the extremely durable battery life of 50 hours. Other features include an inline microphone and a 3.5mm detachable MIC cable which allows you to connect your headphone with the iOS devices. The earcups might appear to be slightly small. If your first option headphones have sold out, the Sony MDR-NC7 is an ideal option. They are extremely comfortable, and portable, the soft ear cushions allow you to uninterruptedly listen to the music whole day and isolate the outside sound fairly even without the active noise cancellation. You can switch it on and off, but when on, the headphones will reduce the outside noise successfully, even on the planes, buses, cafes and other loud places. It uses a single AAA battery. When it comes to the audio performance, they offer a respectful sound, but nowhere near perfect. The bass lacks behind the audio, while the sound quality decreases as we increase the volume. 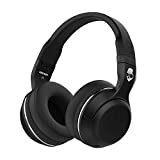 They are extremely affordable, and comfortable, which is why are they on the list, and they provide an entry level of an audio performance which is still acceptable when it comes to the active noise cancellation headphones under $100. The Naztech i9 are Wireless headphones with an Active Noise Canceling features, that stand out from the sea of the ordinary. The wonderful memory foam filling, covered in luxurious leather will ensure you a lasting comfort while listening to the music for longer periods of time. The Naztech i9 streams the music through the Bluetooth 4.1 wireless connectivity, which works perfectly and improves the battery life. It doesn’t hurt to mention the improved audio quality thanks to the aptX technology. Aside from the noise reduction features the headphones are well-known for little to no distortion and deep, rich bass as a result of the 40mm neodymium drivers, followed by the superb sound quality. There is also a lithium-ion battery which is extremely durable, estimated to last around 30 hours, which is ideal for the longer trips, nights of studying, and much, much more. The Mpow Bluetooth headphones are extremely comfortable, and more importantly affordable. For people who aim for the traditional design, they are ideal. The design features a memory protein cushioning, and they are eligible for listening to the music for hours, though they might appear too small for people with larger ears. The additional stainless steel slider gives these headphones a pristine touch. Although they were designed to passively isolate the noise, they provide amazing noise reduction, and they don’t drain the battery in the process. There is a Bluetooth 4.0 for the fast and stable connectivity with your devices. The sound quality is amazing, accompanied by a powerful and rich bass, thanks to the CSR chip and 40mm drivers. The battery life is not perfect, but the 13 hours of music time should suffice to every audio enthusiast who is looking for the pair of affordable headphones. 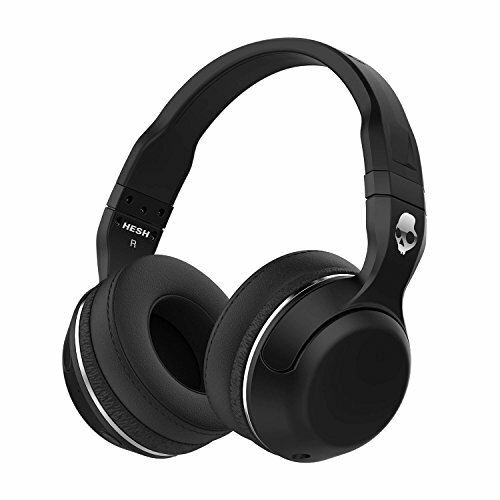 If you are looking for a casual, aesthetic model of noise isolating headphones, the Hesh 2 is an ideal choice for you. They are available in black and grey color. They possess the necessary 50 mm drivers which deliver a refreshing, warm, and detailed sound along with the rich bass with little to no distortion. The noise isolation is achieved through a gentle, deep leather, which ensures that the ear cushions completely cover the ear and work as a seal between the ear shell and the environment. Thanks to the advanced Bluetooth technology, they are eligible for any device which streams the Bluetooth connectivity. If you’re looking for a respectful battery life, the Hesh 2 offer a 13 hours battery life, which is easily and swiftly recharged. The iDeaUSA wireless headphones are extremely comfortable, as a result of ultra-soft leatherette lining, and also very portable. However, the people with glasses might find some difficulties using them. You can stream your music from phone thanks to the Bluetooth technology along with the AptX codec which contributes to the better quality of music, including the rich and balanced bass. It has a respectable battery life of 17 hours, which recharges within two hours which is satisfactory. Other features include a built-in microphone, onboard controls, touch controls, and much more. They are perfect for everyone, every shape, and size of head and ears. The ear cushions were filled with the soft protein leather and memory foam for the lasting comfort, and noise isolation. The quality of the sound is balanced, detailed, and warm, while the bass is tremendous and powerful. They are easily connectable to the laptops, computers, tablets, and other devices that sport the 3.5mm jack. The Golzer BANC-50 features the noise cancellation technology but packs a professional, and pristine design which allows them to reduce the ambient sounds even without the ANC technology on. These are a wonderful buy, and one of the best sub-$100 models. They are wireless, and you can stream the music via the Bluetooth technology, which includes an AptX codec for the enhanced audio quality. They are eligible for the traveling, studying, gaming and everything else that includes listening to the quality music. The cushy design prevents the outside noise from entering the ears but also makes listening to the music convenient. 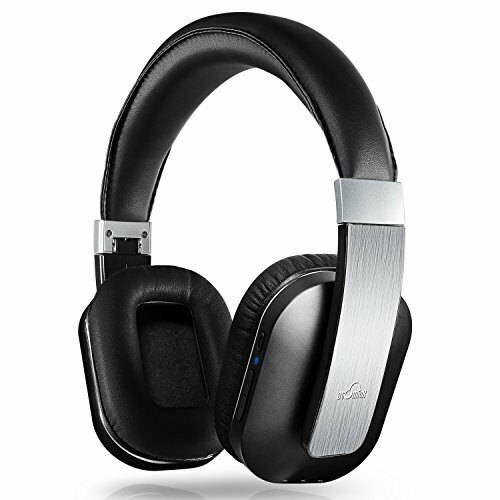 The battery life lasts up to 30 hours if only noise cancellation technology is on. If you want to listen to the music with either ANC on and the Bluetooth, you will have to settle for the modest, but decent 12 hours of battery. With this, we have reached the end of this buying guide. We are sure that there are many other headphone models that could give more, and offer a larger selection of features and upgrades. 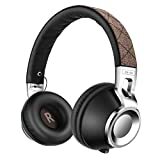 However, the better quality of headphones costs more, and the models we picked definitely fit the description of the 10 Best Noise Canceling Headphones under $100 by quality, comfort, features, and the sound performance. If you are especially an In-ear headphone person, you can go through our Best Noise Canceling Earbuds buying guide.